John wins Quilly Award for making the Amazon Best-Selling list! John and Bob Guiney hanging out on the red carpet in Hollywood! John Miziolek, Co-Founder of Reset Branding, recently joined accomplished business leader and dedicated philanthropist Dr. Nido Qubein, president of High Point University, along with other leading experts from around the world to co-write the book titled, Breaking Through: The World's Leading Entrepreneurs and Professionals Share Their Insights for Achieving Breakthrough Success! The book was released on June 12, 2014 by CelebrityPress™ - a leading business book publisher. John also won the Author of the Year Award. A very prestigious honor; John was selected by the Editor from a group of over 300 authors. John wins Author of the Year Award in Hollywood at the historic Roosevelt Hotel! 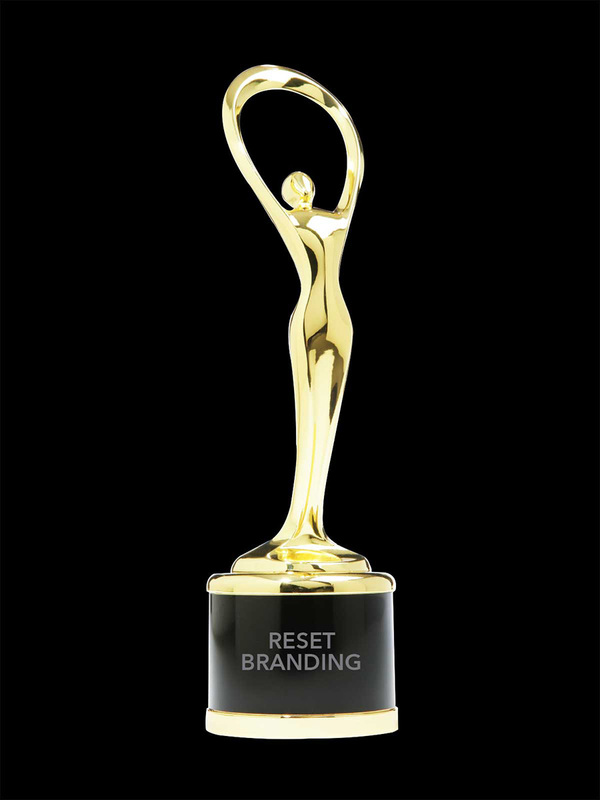 "A Branding & Design Rock Star"
John Miziolek is Co-Founder of Reset Branding, a strategic branding and design firm located in Toronto, Canada. He also loves fast cars, rock music and possesses an unrelenting entrepreneurial spirit. Oh, and when he's not leading Reset Branding, or being a super-dad to five kids, you might find him channeling his 'inner Bonham' on a drum kit. John is a best selling author and recognized as an expert in the areas of strategic branding, brand development, naming and innovation and has been featured in USA Today, named one of America’s Premier Experts, featured on NBC, ABC and CBS affiliates, starred in History Television’s “What’s In a Name?” series, been interviewed by Global News and CBC Radio and is a guest blogger for Fast Company, to name a few. Check out John's day job at Reset Branding. John talks with Matt Galloway from Metro Morning on CBC Radio. John is a constant resource for the media and has appeared on several national television networks and radio stations such as History Television, ABC, CBS, NBC and FOX. John has been quoted in, and written articles for, several major national publications including Global News, Fast Company, Canadian Business and Brand Packaging. John is available for speaking engagements, television appearances, radio interviews, article writing and quotes. If you would like to contact John, please fill in the form.